In this submission, the Islamic Human Rights Commission provides information under sections B, C and D as stipulated in the General Guidelines for the Preparation of Information under the Universal Periodic Review. Under section B, the Islamic Human Rights Commission gives background information about the struggle of the people living in Darfur. Under section C, the Islamic Human Rights Commission raises concern in relation to the situation in Darfur. Under section D, the Islamic Human Rights Commission makes a number of recommendations regarding action that should be taken by the government. Darfur is the biggest region in Sudan hosting a great wealth of underground minerals, one of which is oil fields. The region is important in terms of production of livestock for the country. Fertile soils of Darfur and huge water sources allow it to hold 25% of Sudan’s livestock population, providing 30% of exported live stock. Despite its natural wealth, however, Darfur has been neglected by the government; as a result it is the most underdeveloped region of Sudan. Unfortunately, the Sudanese Government has a keen interest in exploiting Darfur’s natural wealth and is reluctant to improve the infrastructure of the region. This is due to their suspicion about socio-political influence of the tribal groups, which have been considered as a threat to the authority of the central government. Furthermore, there has been a deliberate attempt to curb the influence of the indigenous African tribes and insert the authority of the government. Two main ethnic groups dwell in the region of Darfur: indigenous black-African groups and nomadic groups of mixed quasi-Arabic origin . Both ethnicities predominantly adhere to the Islamic faith and are fluent in the Arabic language. 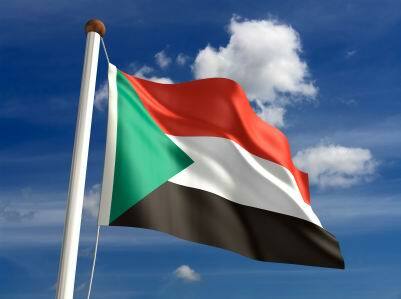 Historically, the region enjoyed an independent state under the name of Sultanate of Darfur. However, a colonial British interference resulted in Sultanate of Darfur’s annexation to the present day Sudan. The civil war between these tribes has claimed many lives in Darfur. According to independent accounts between 1983 and 2005 around 1.5 million people got killed. Statistics have shown that more than 300.000 have been killed and 2.7 million have been displaced between years 2003 to 2005. Around 4.7 million people have been directly affected by the conflict, out of a total population of around 6.2 million. Children are the most affected group who make up half of the directly affected victims of the conflict. Around 700,000 of these children (the under-five population) have grown up in the conflict. A natural disaster took place in the 1980s. This changed the demography of the region. Desertification and drought that struck Darfur at the time caused a famine that primarily affected western, northern and central parts of Darfur wherein mostly nomadic Arab tribes dwelled. Consequently, a massive immigration took place towards the south, which is the land of the African tribes. The mass immigration inevitably led to conflicts between the Arabs and African inhabitants of the region. Successive governments failed to tackle the consequences of the natural disasters in providing infrastructure to accommodate the immigrant population. A long term failure increased the agitation of the people and animosity and social tension between the indigenous Africans and nomadic Arabs. Mass migration following natural disasters, and systematic government policies that aimed at reducing influence of the indigenous Africans through supporting nomadic Arab tribes, has been building up tension in the region. The tension gave rise to sporadic rebellions led by the indigenous Africans which have been suppressed with utter brutality by the government forces. The policies of the Government caused dismantling of deep-rooted traditional tribal structure and leadership in Darfur. In 1995, the Sudanese government announced its ‘geographic and administrative re-demarcation programme’ in Darfur. The program involved removal of administrative powers and land ownership of indigenous African tribes and allocating them to the nomadic Arab tribes. The policies outraged the Darfurian people and dramatically increased their frustration. Due to systematic government policies which targeted the demographic structure of the region. A large influx of Arab immigration has been taking place from Chad and other neighbouring countries to Darfur. These Arab groups have also been militarized by the government and affectively used against the indigenous Africans. IHRC has regularly raised its concerns with the authorities for incommunicado and arbitrary detention. Four members of the opposition Popular Congress party (PCP) and senior journalists in the suspended Rai Al-Shaab newspaper were arrested and tortured at the State Security offices in Khartoum, Sudan.Abu Zar Alamin, Deputy Director of the suspended Rai Al-Shaab newspaper, confirmed that he was subjected to physical torture, including beatings and electric shocks. IHRC requested the Sudanese government to respect Freedom of Expression protected in international law and to investigate the allegations of torture and insures that the detainees have a right to a fair trail. IHRC appealed to the Sudanese government to allow the detainees to receive medical treatment and also to have their families visiting rights. There is still more to be done to ease the sufferings of the Muslims being oppressed in Darfur as well as bringing the perpetrators to justice. Likewise, there is a discourse amongst the radical left in Africa who see Darfur as a front in the cold-war between China and the USA. As such they see the support of the USA as imperialistic and concerned with securing access to Darfur’s rich mineral and oil wealth. Despite their otherwise impeccable credentials with regard to social justice movements, this factor has caused them to side with Khartoum to the extent that they doubt the Darfurian narrative of genocide in some cases. The Sudanese government needs to take more action in resolving the social tensions between the tribes in Darfur. Furthermore, in an increasingly globalised world, it is the duty of radical and progressive movements world-wide from Muslim and non-Muslim quarters to create the arenas for real justice to be pursued. 1. The Sudanese government must take more positive action in dealing with the conflict in Darfur. 2. It is the duty of all Human Rights organisations to create awareness on the issue in Darfur. 3. All torture and other ill-treatment must cease and bring the perpetrators to justice in accordance with the international standards of a fair trial. 4. The authorities must take measures to ensure that the constitution and constitutional guarantees for protection and promotion of human rights are not arbitrarily set aside.